2 ebooks with printable pages -- for hands-on math practice! 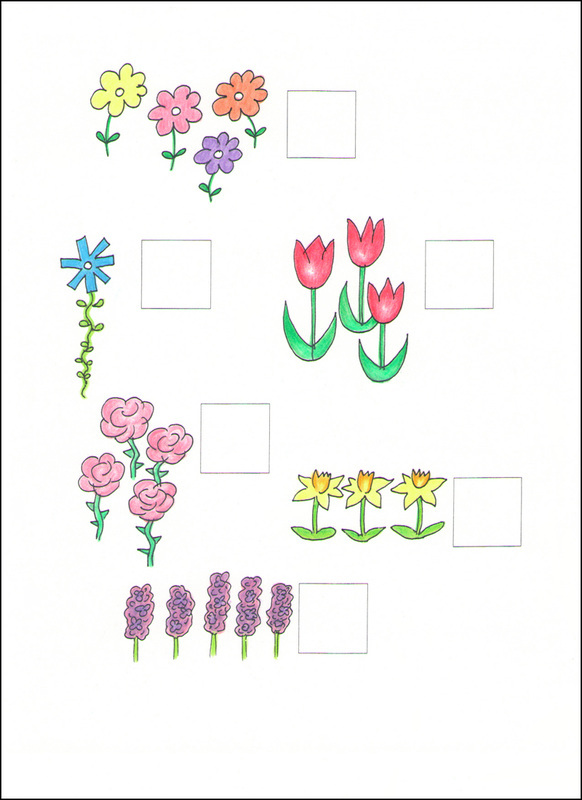 Young children who are learning number recognition and counting will enjoy these colorful pages. They are designed to have number tiles placed right on the work page, to show how many in each group of objects. 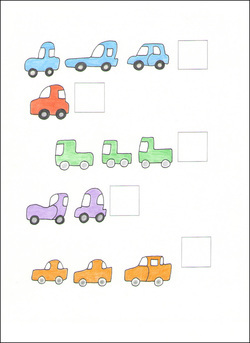 These work pages can be printed out on card stock and used again and again! See some example pages below; there are 15 different pages. Click on any of the pages below to see an enlarged view . 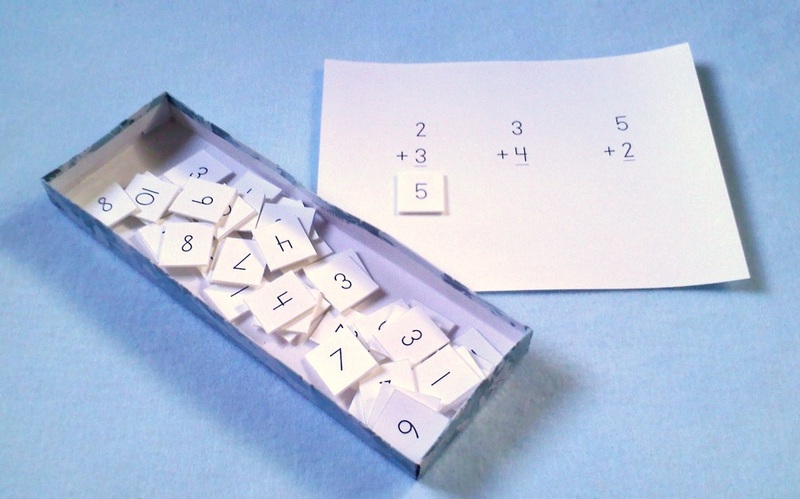 . .
Hands-on math for young children; no writing needed! Number tiles are placed right on the work pages, to show the answers. and subtraction (40 work pages). 5 subtraction problems using numbers 0 to 10. Instructions for make-it-yourself number tiles are included (with printable pattern pages) as well as suggestions for finding commercial versions of tiles. Number tiles can be put in a shoe box lid, or any type of tray. 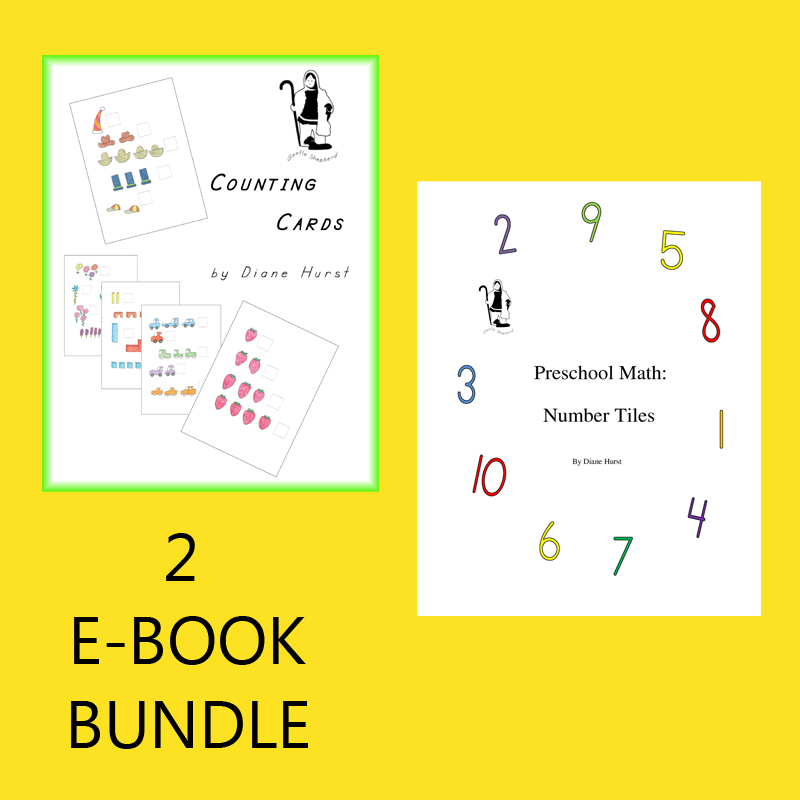 This bundle has 2 ebooks, Preschool Math: Number Tiles, and Counting Cards. Printable work pages that can be reused! Number tiles are placed on the pages, to give the answers. 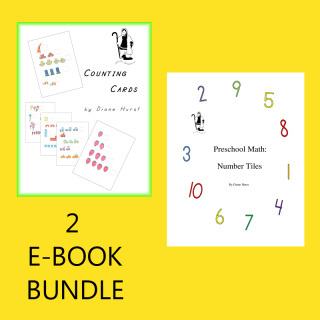 Print-out pages and instructions for making homemade number tiles are included in both ebooks.